Great experience with David Baker’s assistance. Very accommodating. Ryan in finance was very helpful as well. 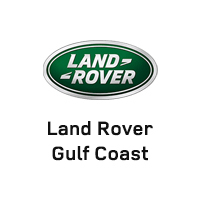 Great experience with everyone at Land Rover Gulf Coast! Great experience dealing with David Baker. He was very professional yet down to earth and easy to work with. Not pushy at all. He found me the exact car I needed and wanted. Will definitely be back in the future for my next car. These guys just do it right. No other way to say it. Fantastic experience from start to finish. Our 2nd Range Rover purchase from Land Rover of the Gulf Coast and hopefully not our last. David Baker is as good of a “salesman” as I’ve dealt with. I put “salesman” in quotes because that’s the last thing you’re thinking about when dealing with David. No pressure, no sleazy car salesman BS. You feel like you’re dealing with a friend. Highly recommend David Baker and this dealership. Great customer service and willingness to work with their customers to get them in the vehicle they want. Indriana could not have been more pleasant or helpful.. she made the experience in Mobile very pleasant.I had been dealing with another dealer, who actually couldn't spell or communicate. I finally reached him by phone only to find he was busy and would call me back in 30 minutes. Guess what? He didn't call back. I reached out to Indriana in Mobile and wound up buying a vehicle. "Mr Busy" in Baton Rouge never called back, that was 5 days ago. Ben was great! My husband and I pulled in about 10 minutes before closing- He was very helpful and did'nt make us feel rushed, at all! Smooth and Easy Transaction! Thanks, Ben! Was handled by an associate by the name of David Baker he was perfect throughout the whole process also his finance manager was great! Go Sox! Just bought my Range Rover Sport from this location, and this dealership went above and beyond to find the perfect car for me! Micayla searched for Range Rover's all over the country, and she found the one that I wanted. Furthermore, they told me it would take 5 days for the car to get there after I had to put down a deposit, but the day I went to go put down my deposit they surprised me with my Range Rover! The service there is absolutely phenomenal. If me or my family need to buy a Land Rover vehicle in the future we will definitely use this location!